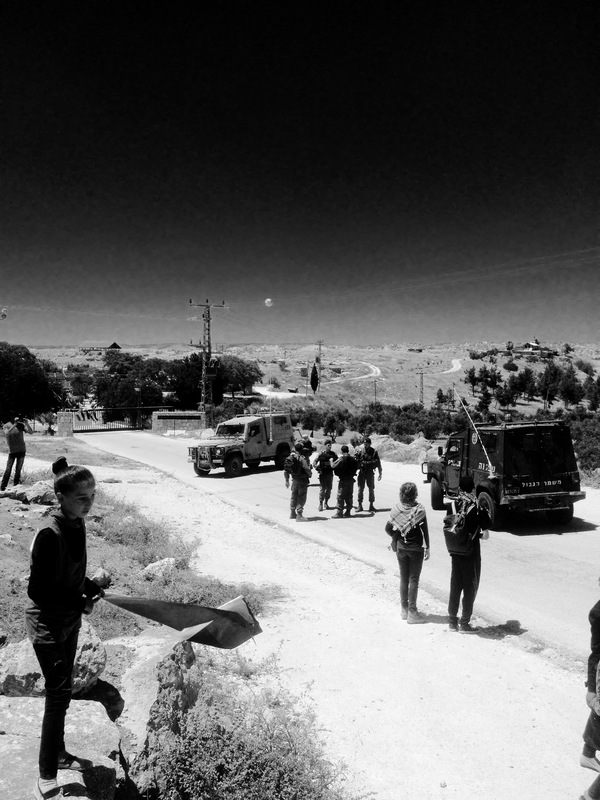 And then everyone began to leave, Palestinians first, with the soldiers following. 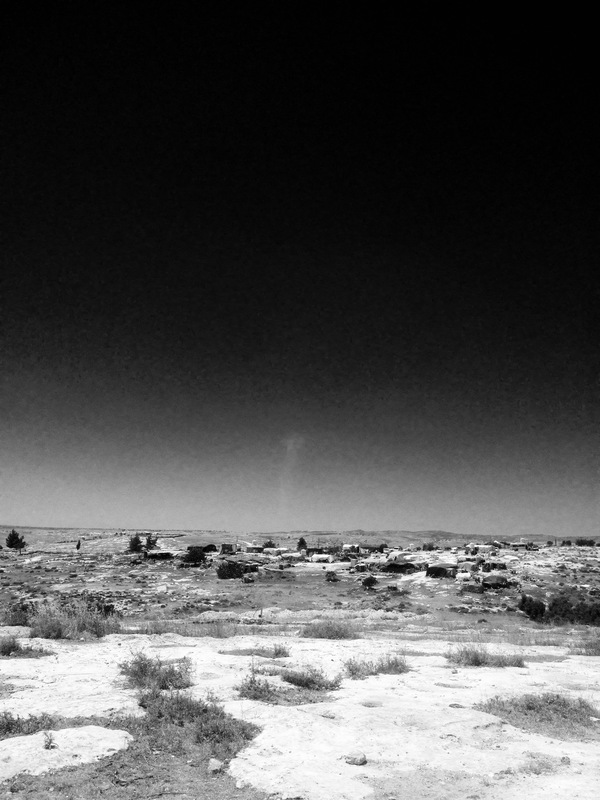 There would be no farming today. 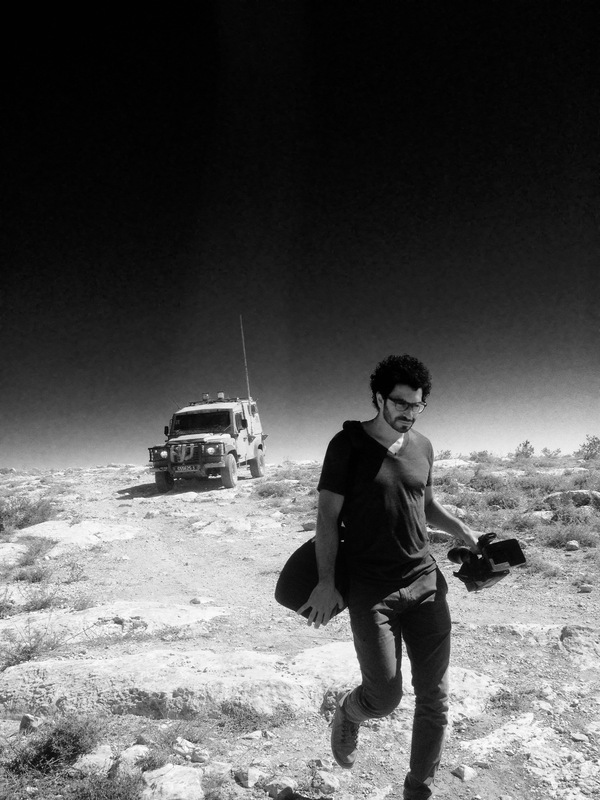 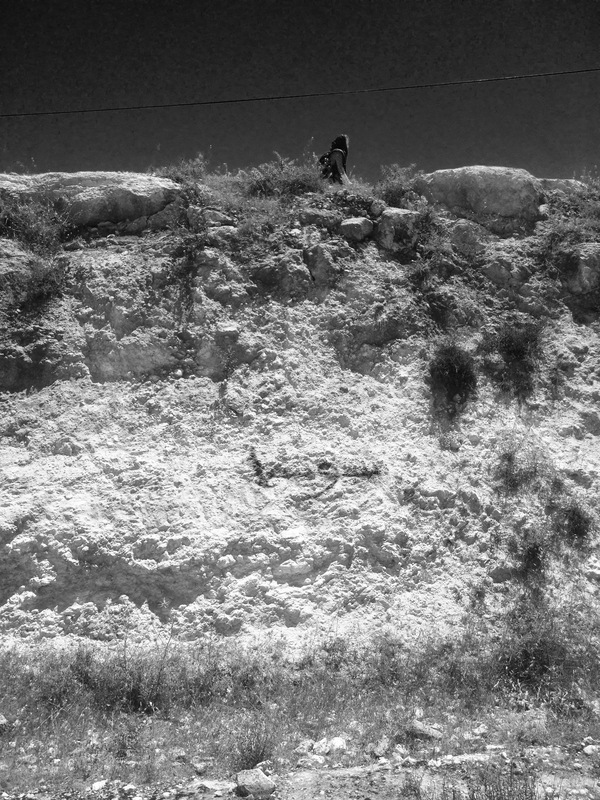 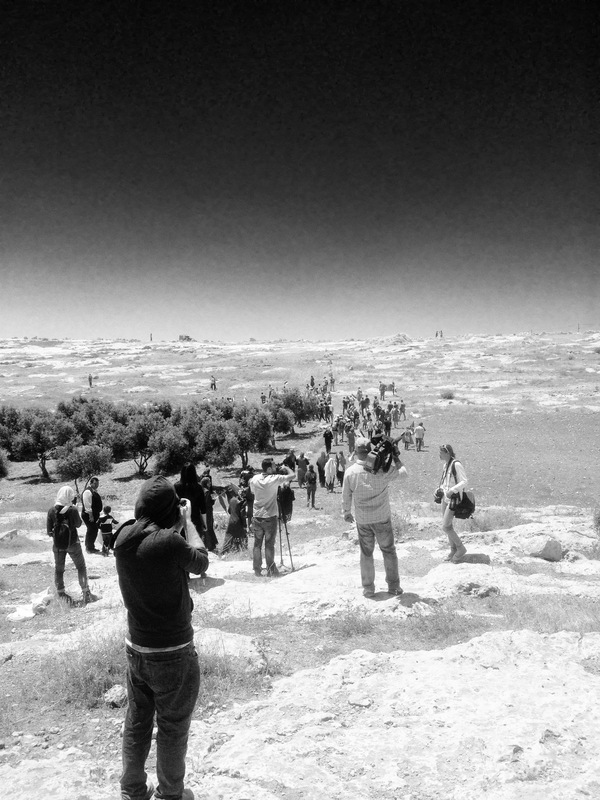 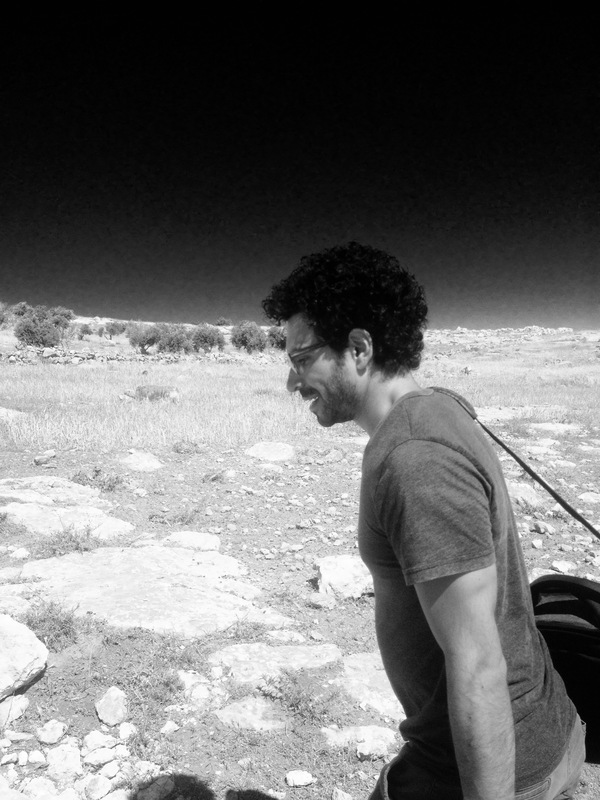 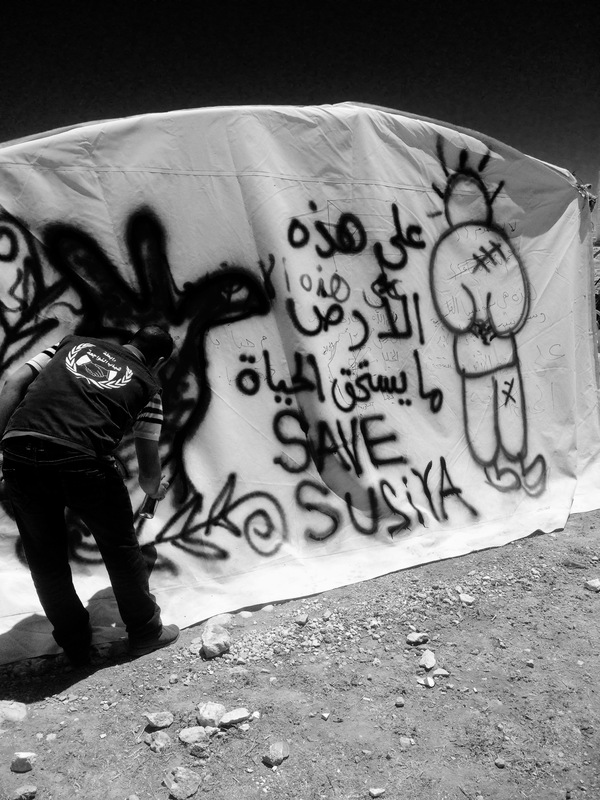 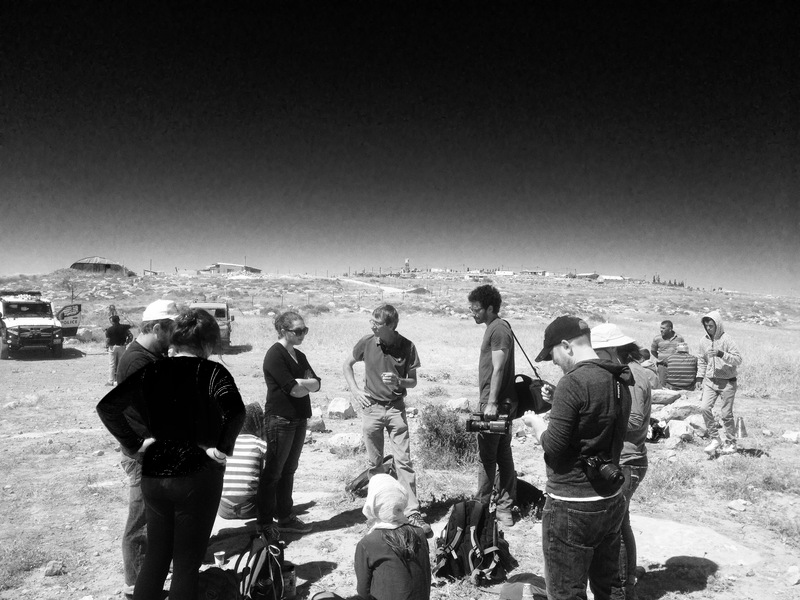 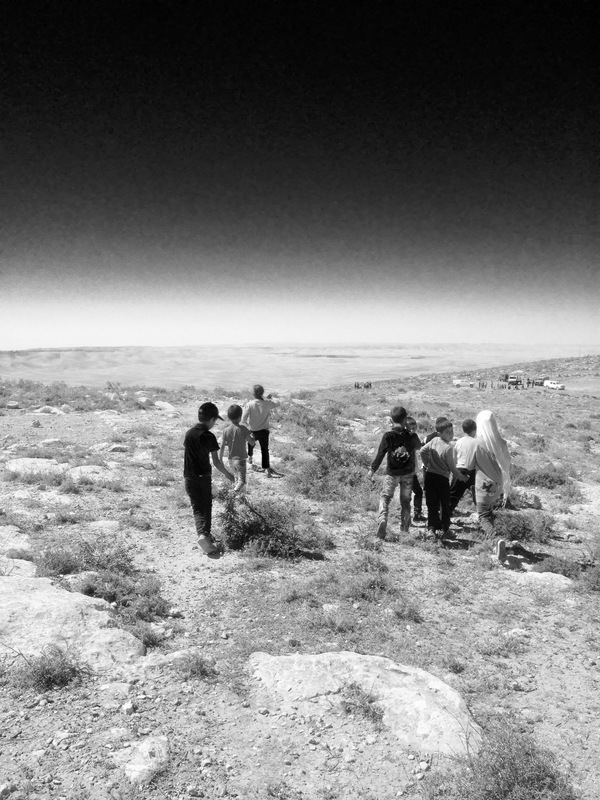 This struggle is not new to Susiya. 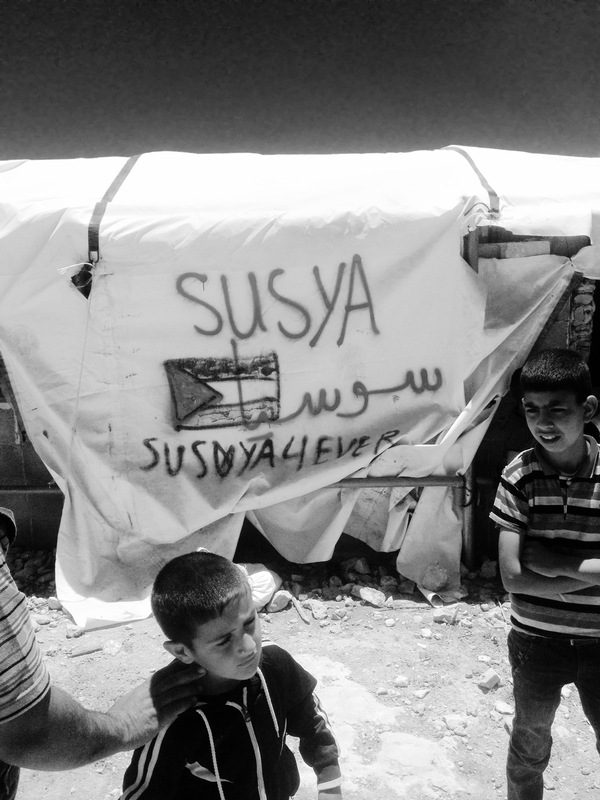 That does not make it any less heartbreaking. 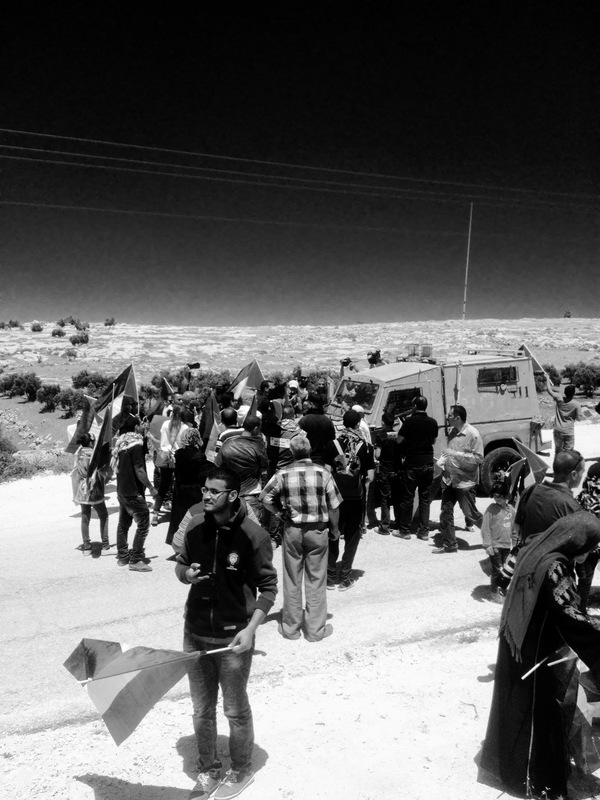 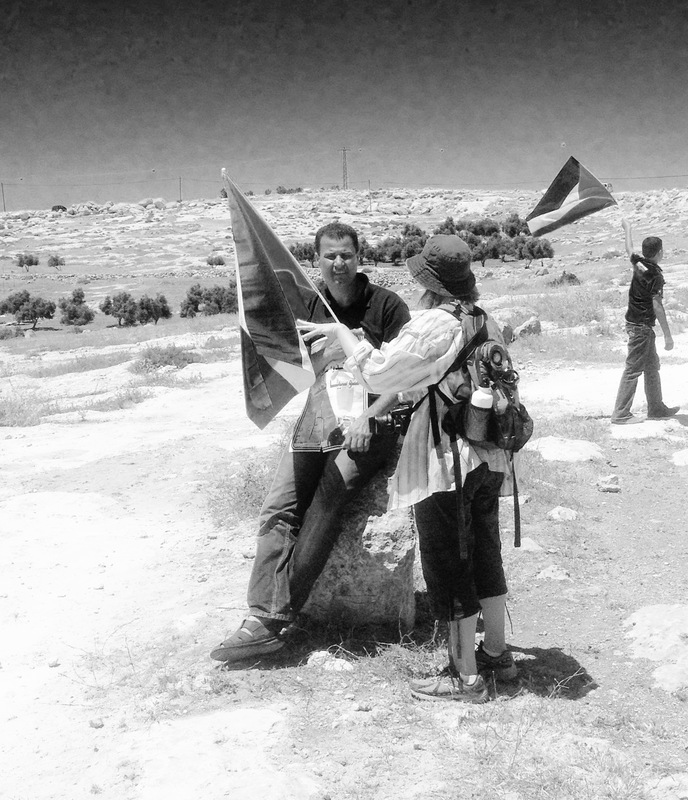 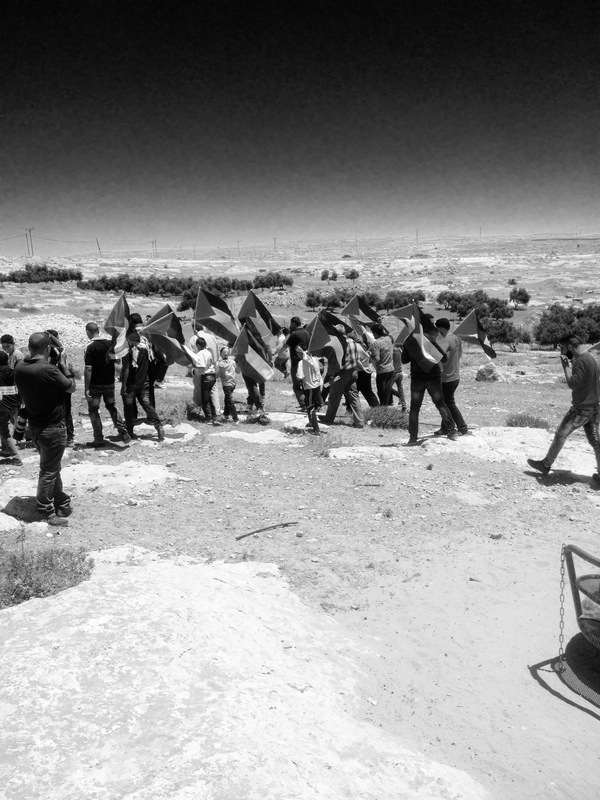 The people of Susiya then began to march, holding Palestinian flags. 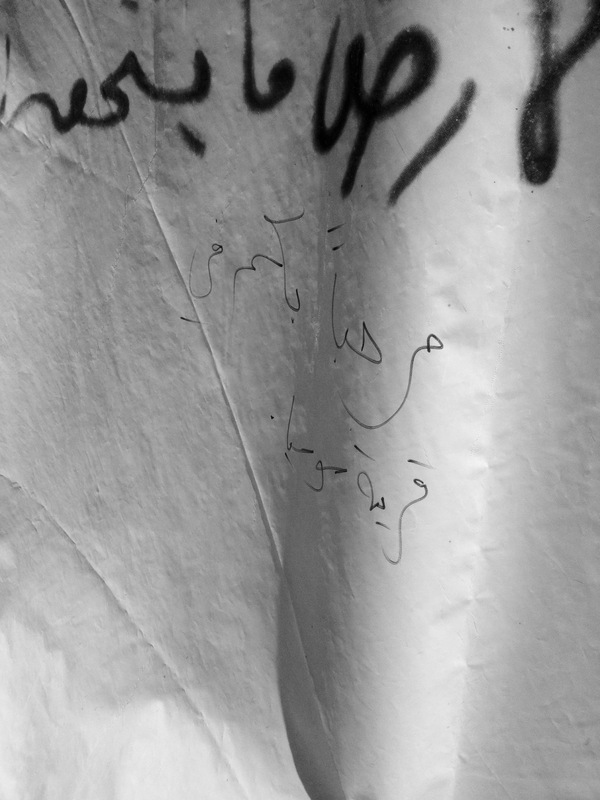 The march then reached the street, upon which someone had sprayed this precise, humane and just demand. 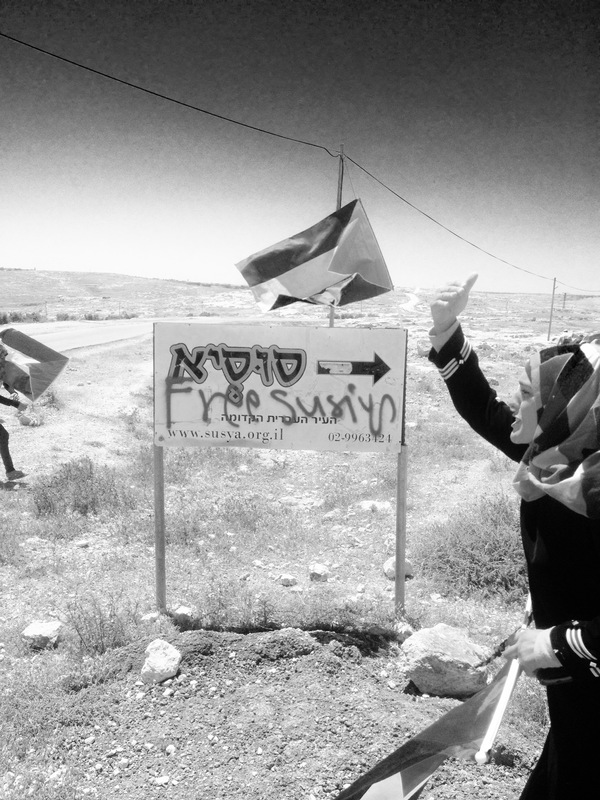 Meanwhile, marchers managed to hang Palestinian flags on the gated entrance to the the old Susiya. 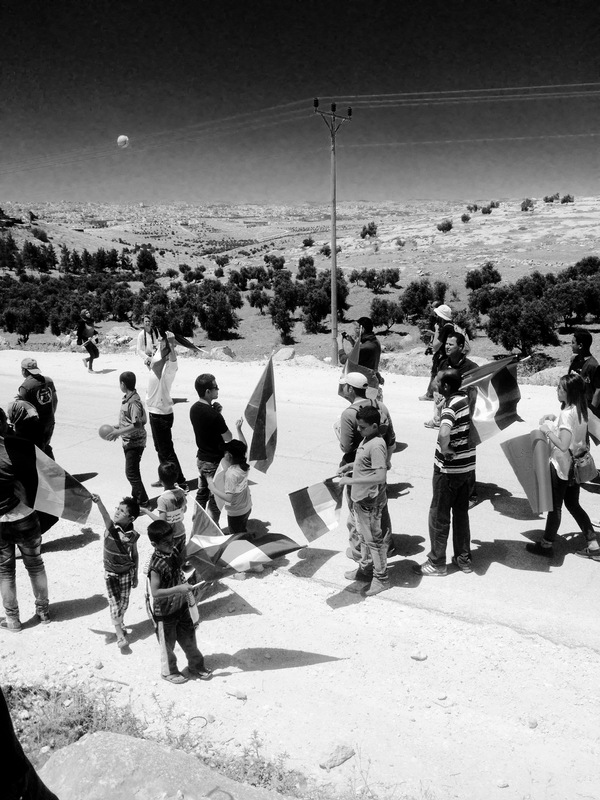 But the marchers, having accomplished what they’d set out to do — declare their presence, and their intention to stay in their village — began to disperse, and no one was sprayed. 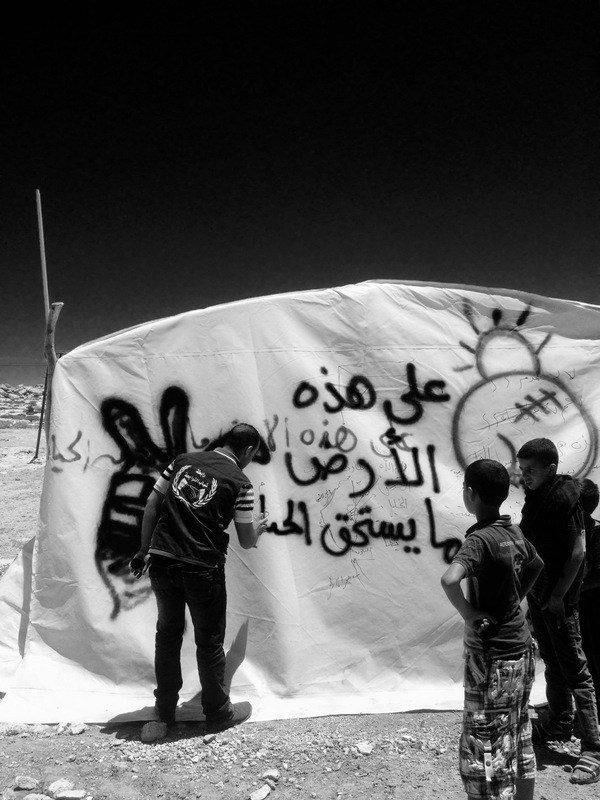 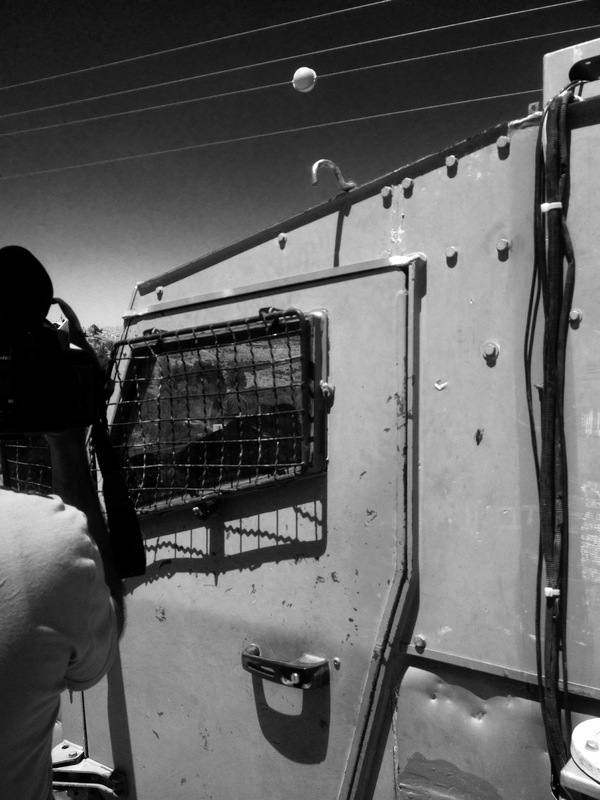 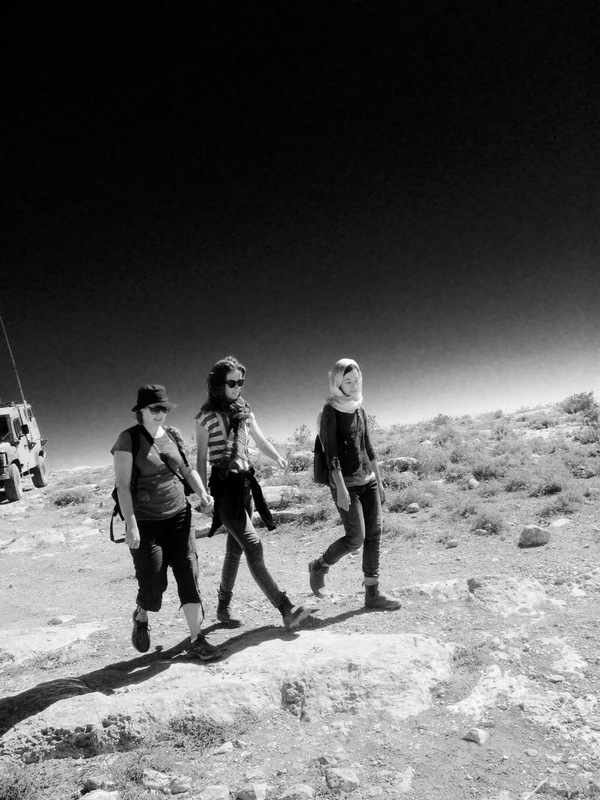 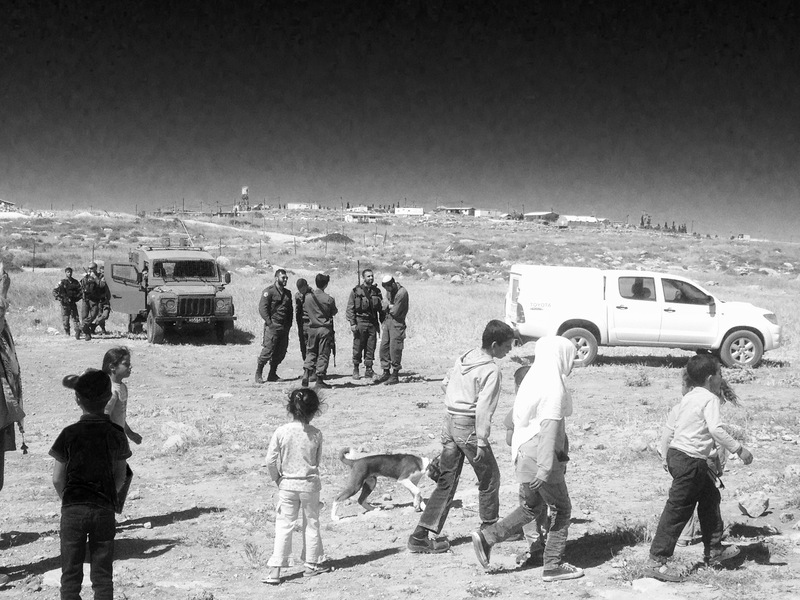 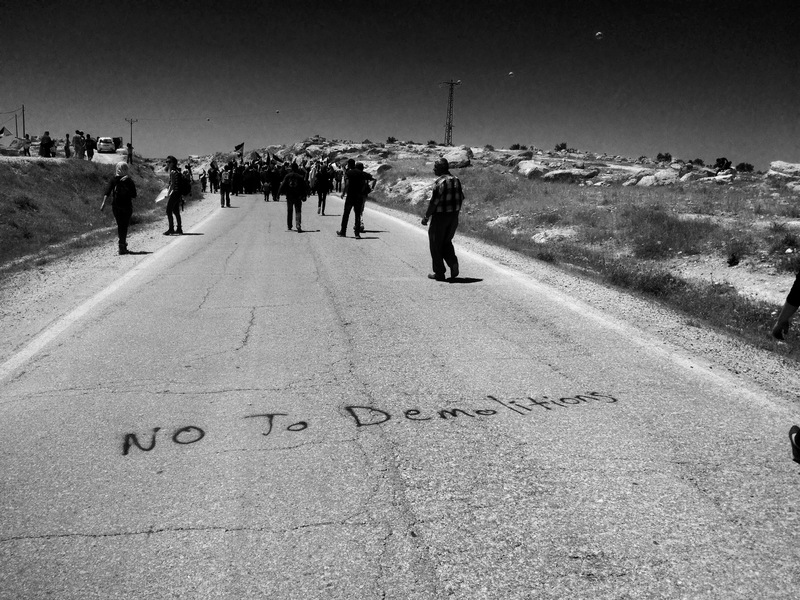 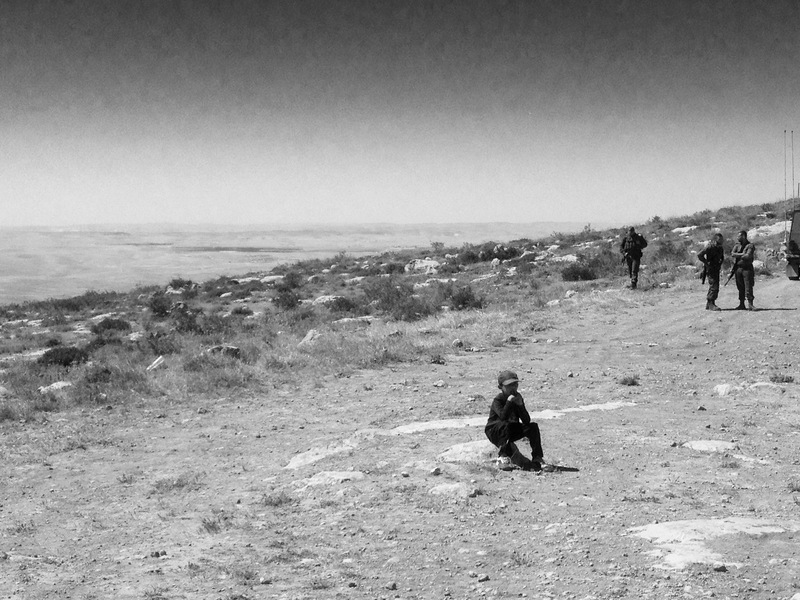 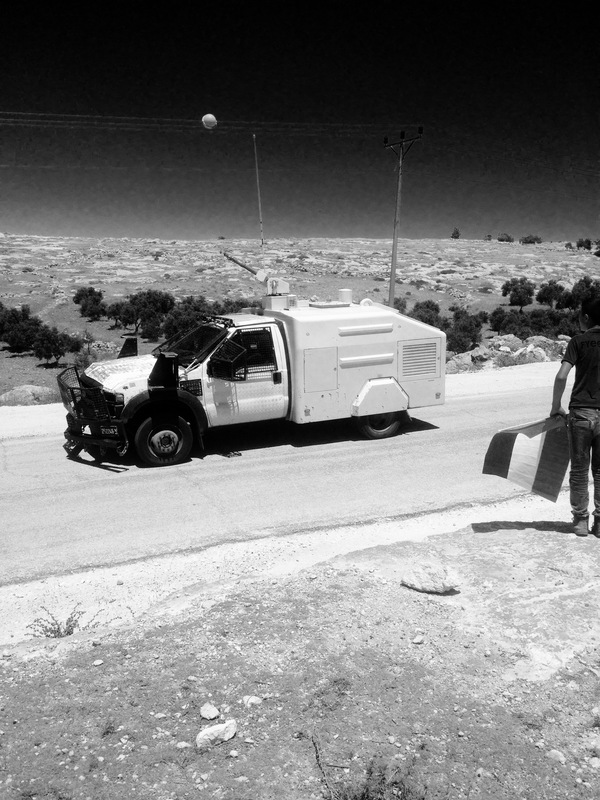 Threats, intimidation, courage, steadfastness, heat: Another day in the village of Susiya. 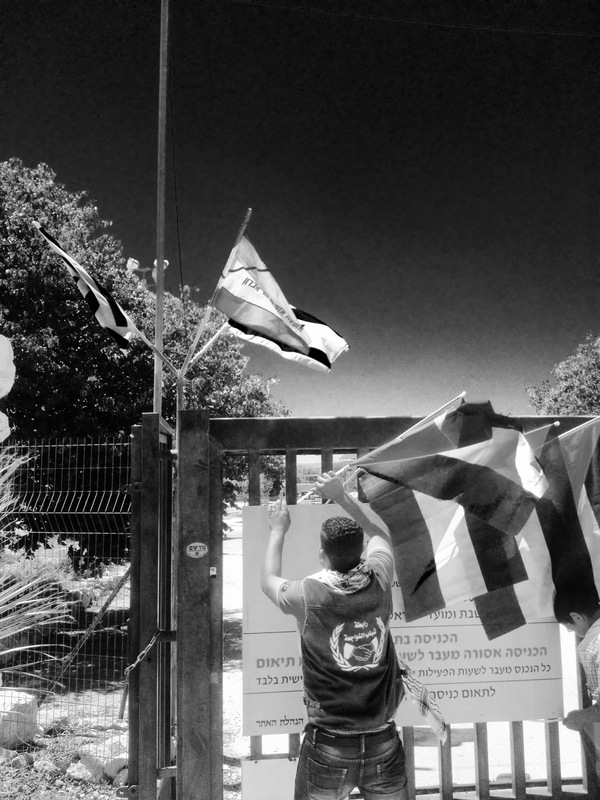 Sempre na luta em defesa dos Palestinos que são o objetivo do Novo Holocausto.